Can You Meet the Hippos Appetite? Description: Are you ready for some hungry hippos! 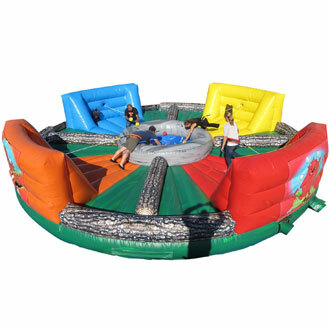 this is the hungry hippos inflatable game that is made after the popular kids game. Each player in the hungry hippos inflatable game pick a side and they strapped to bungee cords, their mission is to get as many balls as possible in a set amount of time.